Anyone who reads PNO.com, will see that I have a very direct slant. NO, I am not an Martinelli apologist. But YES, I feel this country had a level of respect and admiration for the man that is still seen to this day. I don’t feel that a country as small as Panama holds onto this type of admiration for no reason. “Power Corrupts”. I come from the country that probably coined that phrase. The follow up is “Absolute Power, Corrupts Absolutely”. And whereas Panama is indeed a working democracy. The same rule apply that apply in the 1st world nations. The Top 1% control the remaining 99%. Which is why I can easily state that in Panama, it is ,much easier to identify the top 1%. For years now Varela has been trying to distance himself from the very same bedfellow that placed him in that group. He has gone out of his way to make it seem like all of the dust and swirling controversy that has followed Ricardo Martinelli, does not have a grain of it land upon him. ODEBRECHT is a criminal organization that happens to build stuff as well. PERIOD. It’s tentacles are laid out over three administrations, and YES up to and including that of the squeaky clean Varela. As demonstrated in this article from La Prensa ( one that rarely points a keen eye at Varela ), you will see that if you are going to continue to fire spears at Martinelli and his family, that you should use those glass things in your bathroom for something other than making sure your hair is perfect when kissing the asses of Communists, Despots, Dictators, and repressive leaders. 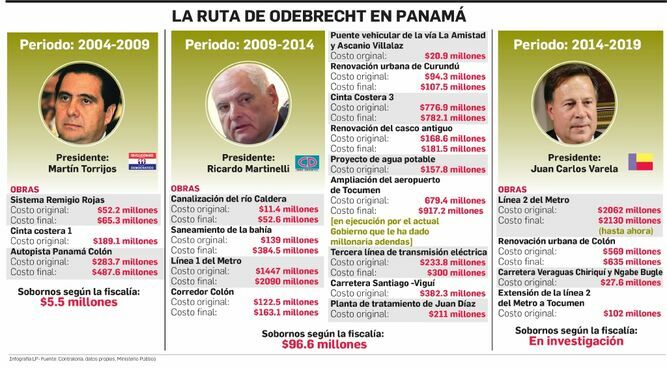 To date, Odebrecht has paid $ 36.6 million to Panama as a payment to the $ 220 million fine imposed by the Public Prosecutor’s Office (MP) for using the banking system to launder money, in the middle of the scheme of bribes it gave in exchange for millionaire works. In 2017, after the signing of the agreement between the Brazilian company and the Special Anticorruption Prosecutor’s Office on July 26, the company paid $ 18.33 million and in 2018 paid the same amount. The money is deposited in a State account. This was reported to this media in the MP. In signing the agreement, Odebrecht and the prosecution agreed that the $ 220 million would be paid in 12 years and the exejecutivos of the company would provide key information to get to the bottom of the plot, but the company could continue bidding in the country. Since then, Odebrecht has continued to earn millions. Together with FCC, it obtained the contract to extend Line 2 of the Metro to Tocumen International Airport, for $ 102 million. In fact, the construction of line 2, which was initially tendered at $ 2 thousand 62 million, now costs $ 2 thousand 130 million. And Tocumen SA granted another $ 25 million addendum for the construction of the new passenger terminal. In addition, it is in the bid for the extension of line 1 of the Metro to Villa Zaíta , wants to build the new Hospital del Niño and the new headquarters of the University of Panama in San Miguelito. On August 1, 2017, the National Prosecutor, Kenia Porcell , announced that she had reached an effective collaboration agreement with Odebrecht, a Brazilian construction company responsible for paying bribes in Panama to keep contracts. The agreement was made on July 26, 2017. Odebrecht undertook to provide details on the corporate structure that it set up in Panama to distribute the bribes and pay a fine of $ 220 million. In return, I could keep bidding. The agreement was approved by the Judicial Body on November 9, 2017 at a public hearing, in which, for the first time, exejecutives of the company, including André Campo Rabello , made known the DNA of the bribes in the isthmus. From that moment, and up to now, the Special Anticorruption Prosecutor, who is handling the case, has charged at least 75 people, the company has continued to earn millionaire contracts and has paid 16% of the fine imposed by the Ministry Public (MP) in light of the agreement. The first payment was made in 2017. It paid $ 18.33 million. In 2018, it returned another $ 18.33 million. In total, that totals $ 36.6 million, just $ 11.16 million more than the $ 25 million it will charge, for example, with the latest addendum granted by the current government to the new passenger terminal of the Tocumen International Airport. What to keep bidding for works in the country despite the scandal, was something that Odebrecht took seriously. 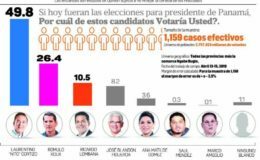 With caution, the company, which arrived in the country under the government of Martín Torrijos, has continued to earn millions. A clear example of this is line 2 of the Metro, which was tendered at $ 2 thousand 62 million and whose cost is already $ 2 thousand 130 million. Also, the urban renewal of Columbus, work that had an original cost of $ 569 million, although until now its price rose to $ 635 million. In addition, the extension of line 2 of the Metro to Tocumen was awarded: $ 102 million. 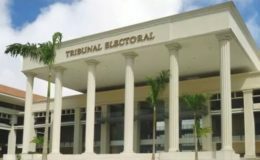 Are there any anomalies in these contracts, as the prosecution says happened in the governments of Torrijos and Ricardo Martinelli? In November last year, MP prosecutors reported that the works of the current administration were under scrutiny. Jaime Lasso, former ambassador of Panama in South Korea, was asked, who admitted that the company gave at least $ 10 million that would have gone to the political campaign of the Panameñista Party of 2009. Carlos Duboy , ex-manager of Tocumen, SA, also confessed to having received donations from Odebrecht for the ruling party. The agreement between Panama and Odebrecht is similar to that concluded by the construction company in Peru, but far from the treatment it received in Colombia. In Peru it was agreed on February 19 of this year. He was fined $ 184.7 million, which he will have to pay in 15 years (1 annual fee), but it is done with respect to four projects. As in Panama, Odebrecht undertook to expose officials and individuals who received bribes. 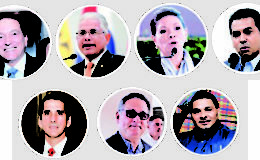 Before reaching this stage, Peru already had a good part of the advanced investigation, a process that has four presidents under scrutiny: Ollanta Humala, who was imprisoned for the case and is still under investigation; Alejandro Toledo, with arrest warrant; Alan García, with impediment to leave the country; and Pedro Pablo Kuczynski, to whom the case cost him the job and today has an impediment to leave the country. In Colombia, the fine to the company amounts to $ 251 million, and was disqualified for 10 years to tender with the State . Prisoners are congressmen, businessmen, “lobbyists” and ex-prosecutors.